The Cape Epic is a major event with great publicity and massive coverage in all forms of media. Thousands of people participate, work and watch the Epic every year. Add to that the promise of an Epic adventure with tales of suffering, endurance, courage, disappointment and victory and you have a world class drama. 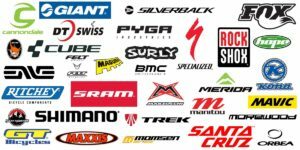 Mountain bike sponsorship is a two way street where both parties are looking to benefit. For the winners sponsorship is a bit easier, with exposure at the front of the race and a podium spot, the job is done. But not being podium potential doesn’t mean that you must give up. You just need to be a bit more creative and look for an angle that will work. Your starting point is to think of what it is that you will give the sponsor. They will appreciate you approaching them with that attitude, rather than the normal bent knee folded hands attitude. First you need to decide who would be potential sponsors. You need to think of people who you know and could approach. They would be in senior positions, preferably with an interest in cycling like MDs, marketing, advertising or sales executives. Think of companies that would benefit from and fit in with the average endurance cycling crowd. Look at which products and companies are advertised in your favourite cycling magazine. Secondly you need to consider what it is that you can offer the sponsor and how and what marketing medium you can access. There are many many ways to get exposure and market your sponsors brand to the market. Think about who you know and what you have access to, advertising is no longer just TV, radio and print. It could be clubs, e-mail, newsletters, schools, varsity, internet, newspapers, magazines, referrals, sales leads etc. We are living in very different and changing times. The internet is enabling all sorts of new marketing media, facebook, Instagram, youtube and other social platforms. Think about all the different aspects that you can use and how they will work together. Try to quantify this to show how much value you will be creating for the sponsor. Thirdly you need to decide what you want out of this deal. You need to be specific and bold in what you ask for. Rather ask for too much than too little, because if they cut a large pie in half you will still have more than if it was a small pie cut in half. So think about exactly what you need . Lastly put it all together in a neat clean and concise presentation. It is best if you can make contact with people and present in person. That way you become real and they can feel and see the excitement of what they will be sponsoring. At the time our current sponsorship had come to an end, shock and horrors was the first instinct is, oh no it was all too good to be true. But that’s the trap of, I am a nobody and nobody will sponsor me, instead think of who you are, who you know and what you can do for them. Luckily we had anticipated this and run a couple of scenarios, and lined up some backup plans. With our previous experience and contacts we were soon working on a new plan. Combined with the right place at the right time and we were back in business with the promise of a new sponsor with new opportunities. Why sponsor a bunch of average guys, well here it is from the horses mouth. From the Blog of Brandon Els, Probike MD, “Podium positions are important for sponsors, but let’s face it, the top riders are there to be brand ambassadors predominantly to the media and their talent and commitment puts them in a position where they do not have to pay for their bikes and gear. For two years in a row 2006 and 2007 we rode as Team Subaru thanks to a sponsorship from Barloworld Subaru. It was a great fit with mountain biking, travel, adventure, freedom and the outdoors. Mountain bikers and Subaru owners tended to be more individual and free thinking, attracted to an activity offering something different and challenging. 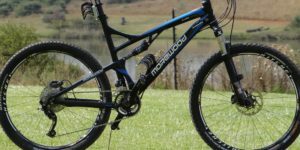 Mountain bikers are keen on equipment, specs and technology. This also extends to their motoring requirements which are greater than those of the average motorist. Special requirements to suit lifestyle, like functionality and technology, means that mountain bikers are thinking car buyers. In 2008 we rode as Team BBB with a sponsorship from BBB bike parts. 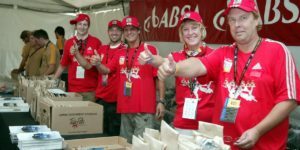 We rode the 2008 Cape Epic with as many BBB Parts as possible, including BBB seat posts, stems, handlebars, bar-ends, cassettes, chains and eyewear. We used these parts in both the training and lead up to the race and the event itself. During this period we did reviews on the equipment we used and shared it through our website and social media accounts.